Searching on Google can be quite a time sink, and it’s even worse when you don’t find what you need on the first few pages. Try a different query and you’ll probably get a bunch of the same links — many that you might accidentally click over and over again (especially if you clear your history often). Which is why you should install the Google When extension. Google When adds a date and time next to Google results that you’ve clicked on in the past. It gives you an instant view of all visited links and links that remain unchecked. Once installed, just search Google for whatever you’re looking for. Later, if you run the same or similar search query, Google When shows a little tag next to results to tell you exactly when you clicked on them. You don’t need to search through the browser history or click anything. The extension is simple — it takes the information from the browser cache and displays the time more prominently. It is also supposed to support Reddit (something that can be useful for serious Redditors), but the latest version has disabled the feature because of some performance issues. Also, it might not work on some international Google domains (e.g. google.co.in). Is It Useful or Useless? The extension may not be useful for casual Google searchers. 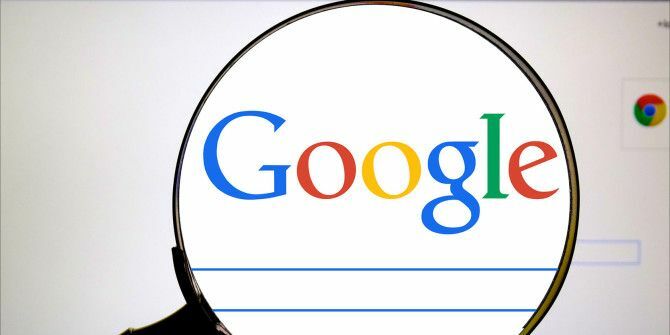 But if you spend a lot of time going through Google results with all the search tricks it has to offer, then the extension can be quite handy. You can revisit a link and check if it has been updated since your last visit, or you can bypass it and give that time to other unexplored results. Tell us if you find the extension useful. Recommend any other browser extensions you use to assist during Google searches! Explore more about: Browser Extensions, Google Chrome, Google Search. 5 Sites and Extensions to Tweak YouTube for a Better ExperienceDid You Know YouTube Has a Secret Dark Mode? So Google when will make it easier 2 research things.. how much easier like beginner computer people will find it quite useful?? Or what? ? Yes, it is a simple tool but is useful when you are doing a ton of research across the day(s).